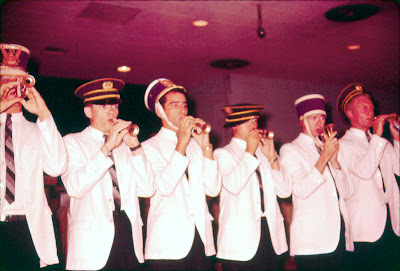 Back in the sixties and seventies there were lots of entertainers who played the overseas military club circuit. Most every club had its own house band of course, but these acts were in addition to that. Some played the circuit full-time, going from base to base. 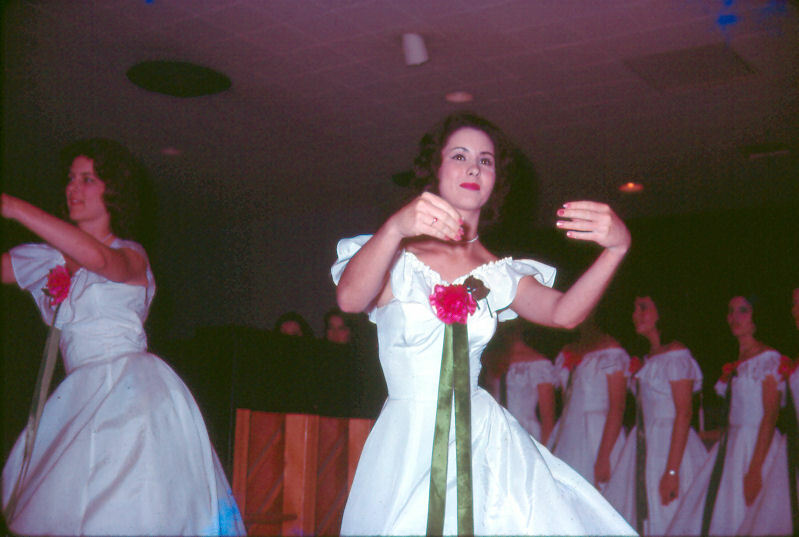 Others were groups -- college glee clubs for example -- who appeared at a few clubs and then returned home. Les Duffin sent me some photographs of two of these groups who appeared at the Linkou Club Annex, near the HSA compound. 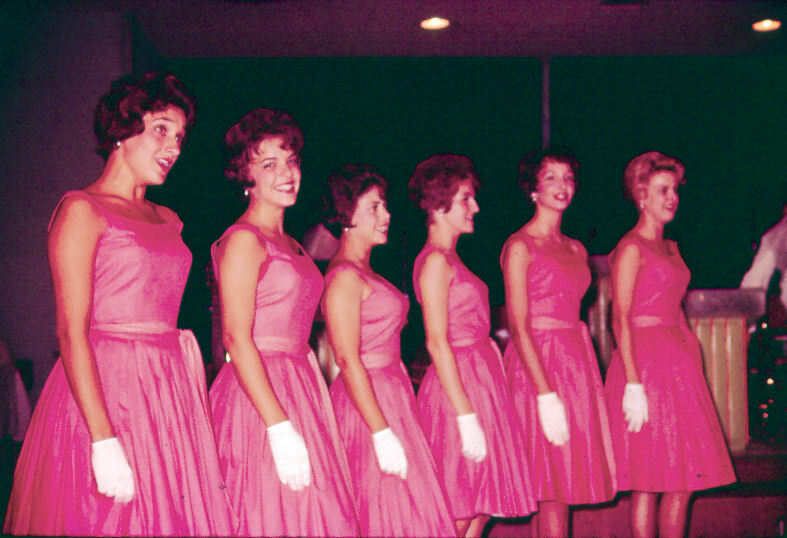 He recalls that the first group was called The Melody Maids but he doesn't recall where they were from. 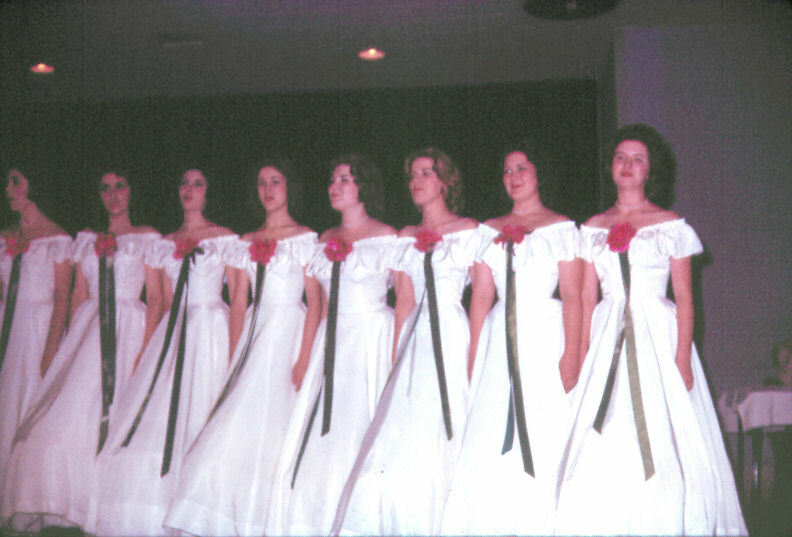 The second group was from Kansas State University and called themselves The K-State Singers. 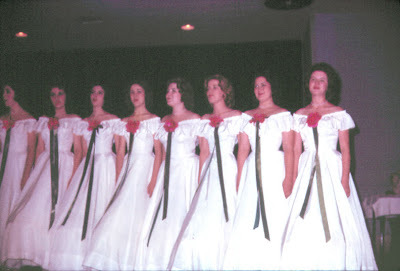 The Melody Maids were from Beaumont, Texas. My mom was part of the group from 1952 to 1956.